T﻿he disinterment can only be carried out on receipt of a valid disinterment licence issued by the Ministry of Health. The disinterment will only be carried out by the staff of the Mangere Lawn Cemetery Trust Board. The disinterment will be carried out on a (week day) date that the Mangere Cemetery Trust Board nominates and that best fits with the family’s needs. A Health Protection Officer must also be present during the disinterment. The nominated Funeral Director must supply a rectangular casket; the size is to be large enough to receive a standard 6’1” casket. 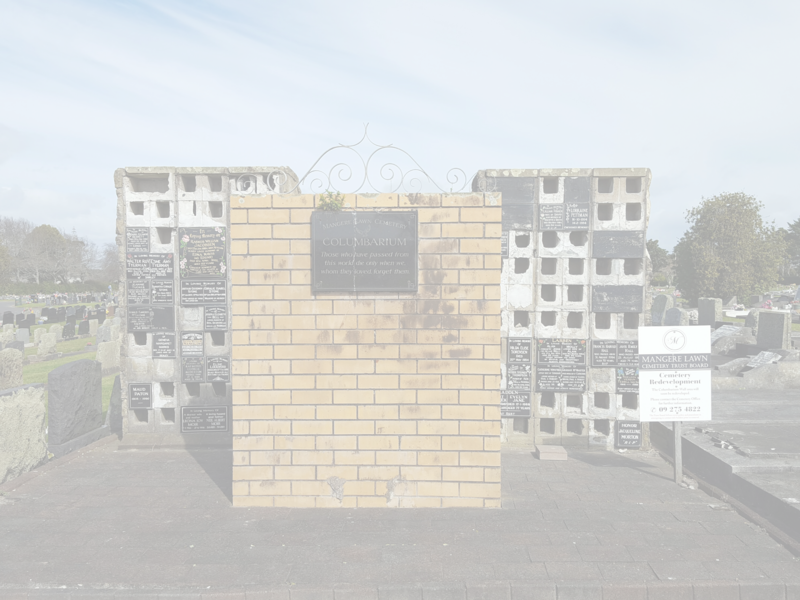 All recovered remains and casket are to be placed into a single container prior to removal from the Mangere Lawn Cemetery. Costs - The fee must be paid, in full, 5 working days prior to the disinterment taking place. The Trust Board may review, on application, the fee for a double disinterment from the same plot. No family are permitted to be in attendance during the disinterment. The family may wait at the Cemetery entrance, and are invited to pay their respects before the disinterment commences, and again when the casket remnants have been reached. The family may nominate a representative (Minister of Religion, Kaumatua, Funeral Director, or an Uncle or Aunt not being immediate family, e.g. sibling, parent, child etc.) to act as witness during the disinterment process on their behalf.